Looking to apply for home improvement finance? If you’re looking for a suitable home improvement loan in Essex then SWD Essex can help. We provide homeowners in Essex with home improvement finance, allowing them to achieve their dream home today rather than tomorrow. Adjusting your home is no light decision and you want to make sure you have looked over all financial costs before choosing a payment plan. You can create a free online quote for your new windows, doors or conservatory on our website and get an idea on cost. We offer flexible home improvement finance plans that can help spread the cost of your project. Spreading the cost of your home improvement loan works out to be very cost-effective. It gives you the freedom and breathing space to complete your home renovations without financial worry. Our home improvement loans give you more control over the length of the loan, as well as interest paid. We practise an honest, transparent finance system to allow you to get a plan tailored to your needs. Pay in affordable and manageable monthly payments and be in control over the term and interest paid. *Credit is subject to status. You can choose SWD Essex with great peace of mind. We are authorised and regulated by the Financial Conduct Authority. We are a credit broker not a lender and offer credit facilities from a panel of lenders. Our registered office is UNIT 22, Orions Court, Cranes Farm Road, Basildon, Essex, SS14 3DB. There are several home improvements that can be undertaken with the help of our flexible finance options. From adding space to your home, replacing windows and doors to improving your roofline, there are many home improvement opportunities. Update your existing windows with high performing, uPVC windows. Our energy efficient double-glazed windows are available in casement, tilt and turn and sash window styles. Update the doors in your home with our beautiful and energy efficient composite, bi-fold, patio and French doors. We offer a wide choice of profiles and designs, helping you to find the perfect solution to your home. Add that much needed space to your home with a stunning conservatory extension. We offer a wide range of designs for your home, helping to increase floor space as well as add extra value to your property. Does your conservatory roof need to be replaced? A brand-new conservatory roof can help to eliminate draughts and protect your home from outside elements such as condensation and mould. Ensure your conservatory space is useable all year round our high performing conservatory roofs. Need to create extra light within your home? Inject rooms with lots of natural light with a beautiful Roof Lantern. If you after a stunning focal point then our Roof Lanterns will instantly transform your room, creating an illusion of more space with lots of add light and warmth. Keeping the exterior of your home in good condition is essential for the overall performance. If you have old or tired looking soffits, guttering or fascia’s then it may be time to replace them. Your roofline protects your brickwork and roof from water ingress and other issues. Our home improvements finance in Essex allows you to update your roofline today rather than tomorrow. With a wealth of knowledge and experience within the home improvement industry, we only provide Essex homeowners with high-quality products. You can choose us with confidence. We can help you achieve your home improvement goals today, with our flexible home improvement finance options. 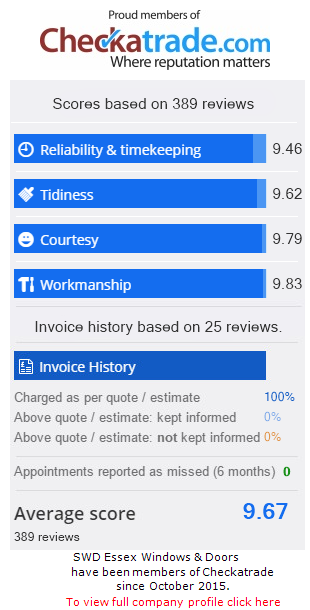 Contact us to find out more about our home improvements finance options in Essex. A member of our expert team will be able to help by discussing all your available options.